From catching and shaving the sheep to sewing the garment - the whole process on this farm in central Colombia is done by all 3 generations in one family. The guys at More Local (a Colombian run travel agency) are some of those. Their tours are not luxury or pristine, but if they were, they wouldn't really be Colombian. They are however, genuine and fascinating. 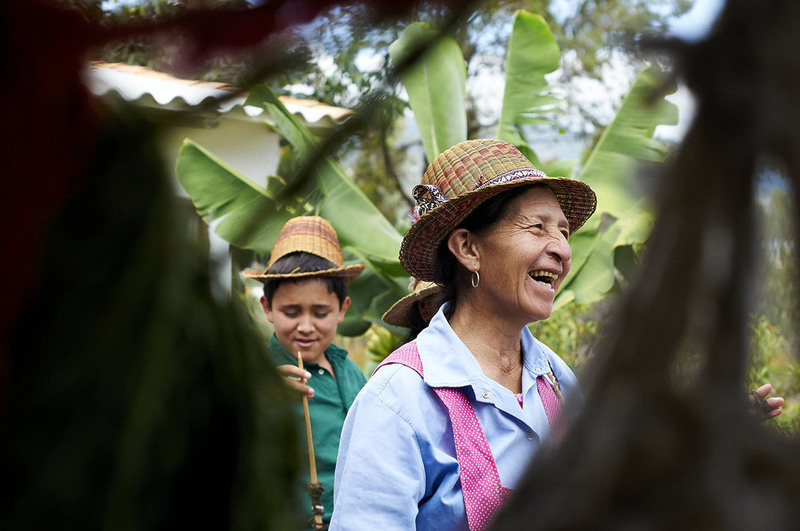 You'll be welcomed into local families and work places, and get a little insight into everyday, real life in Colombia. So… having bought a Colombian poncho in the beautiful colonial village of Villa de Leyva, it was privilege to spend a day with the local farmers understanding the process behind their production, courtesy of More Local. I quickly realised they deserved every penny I spent on my poncho (and felt v. guilty for haggling them down). Three generations work hard together and natter their way through the days. Here's a little storyboard of my day without the goggles on.